A Guide to Wollombi Village and its Markets | Travel Ideas! 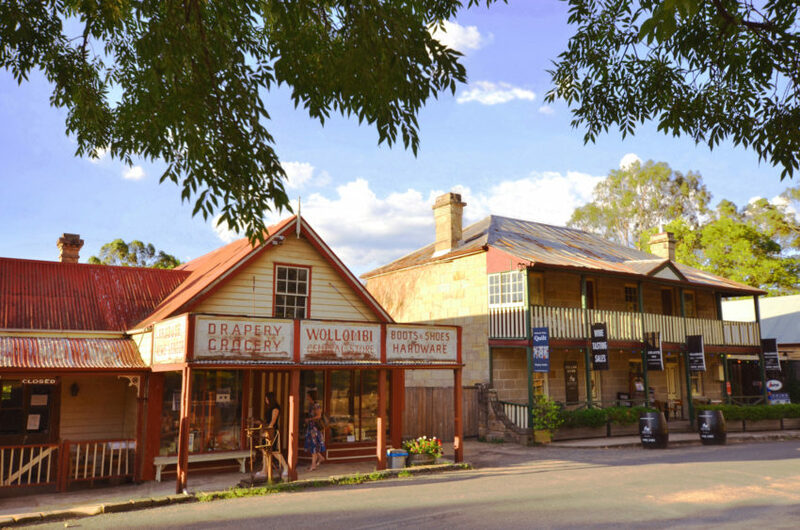 Historical Wollombi village is just under two hours’ drive from Sydney, or a little longer if you take the scenic route on Tourist Drive 33. This postcard-perfect village with its 19th-century sandstone buildings, timber slab and corrugated iron roof cottages is not one to be missed. What better way to experience this village than when it comes alive for the busy and exciting Wollombi Markets. Here is our brief travel guide to Wollombi Village and its Markets. Begin the trip to Wollombi via a scenic route along Tourist Drive 33, which follows parts of the Great North Road (also known as the Convict Trail), a historic road that was built by convicts between 1825 and 1836, which still connects Sydney to the Hunter (see our guide for more information about travelling on Tourist Drive 33). Feel relaxed as you pass scenic surrounds and catch a glimpse of the farm animals that graze on acres of grassy paddocks. To understand the essence of this lovely town, there are a few walks that surround the area, which history buffs would appreciate, see our guide on Walking Trails off Tourist Drive 33. However, in Wollombi village, a wonderful way to learn about the town is to take a historical walk through time, download the Historical Wollombi Village Walk map and begin your journey on foot. But don’t forget to save some energy for a stroll through the markets. There are two markets for the town of Wollombi (held at the same time), the first being: Wollombi Village Market, this is a not-for-profit market and is held every long weekend Monday holiday – with its boutique style stalls and intimate atmosphere, this is a lovely community event that offers products ranging from organic bread, wine, cheese, handmade pasta (gluten-free options) and handicrafts. The stalls for Wollombi Village Market are set up at Dos Juans Fine Food, Laguna (Farmgate). The Dos Juans are well-known professional cheesemakers and trainers, who are also farmers from the Hunter Valley devoted to providing gourmet food that is fresh, locally grown, free from pesticides and chemicals, and they also include organic produce. The second market; Wollombi Markets is located adjacent to the Wollombi Tavern property and is held in the cattle sales yard, its rural significance is a highlight of the area. Wherever you stay in Wollombi village, whether it’s pre-booked accommodation or free camping on the grounds of Wollombi Tavern, everything is within 5-minutes walking distance, such as galleries, a restaurant, a cellar door, cafes and a general store. 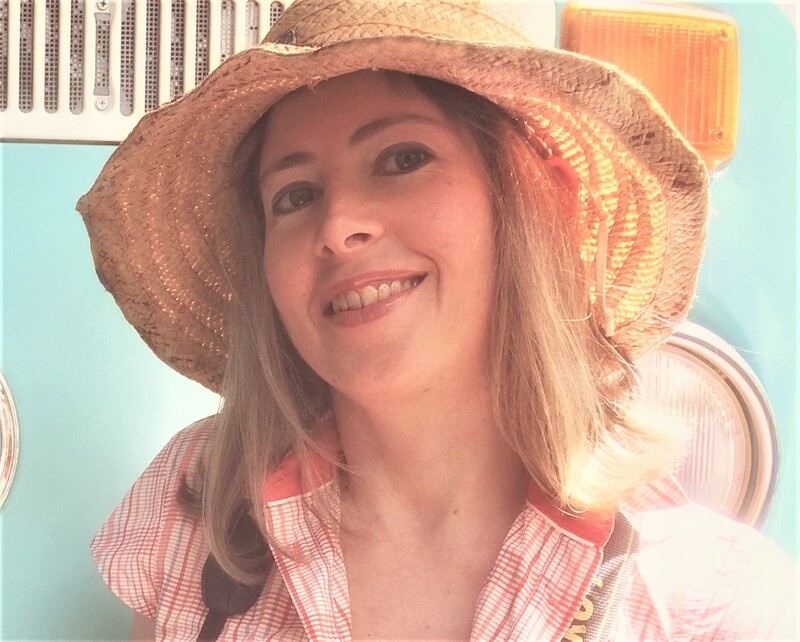 This is an important aspect if you are travelling in a campervan, due to the fact that Wollombi Markets attracts thousands to the usually quiet and peaceful town every long weekend Monday holiday. Once you’re set up accommodation wise everything here is easy! Have an evening walk and spy on the markets in setup mode as the night before the exciting atmosphere begins, cars journey into the village, some stalls begin to be set up during the night, while some just need that finishing touch. By morning, you’ll be surprised by just how quickly the space transforms into an organised event and are already brimming with people. There are over 100 colourful stalls well-stocked with plants, crafts, food produce, a wine stall, clothes and accessories, jewellery, tools and bric-a-brac. It’s the perfect place to pick up a unique gift or something special for yourself. At the end of your market adventure and given that you’re in the Hunter Valley, you might like to visit Wollombi Wines with its beautiful vineyard and wine tasting room (also showcases wonderful sculptures especially during the Sculptures in the Vineyards event). This seemingly isolated vineyard is only a few minutes drive out of town and is in one of the most peaceful and picturesque settings. Perhaps you may just want to end the day in the village and enjoy a café meal from Myrtle House, or a la carte or al fresco dining at the Panino Restaurant, for wine connoisseurs Grays Inn includes Noyce Brothers Cellar Door (and accommodation), or for a quintessential Aussie pub experience visit Wollombi Tavern. If you need to escape the heat of the outdoors market, head to Harp of Erin Gallery Café, which provides not only an air-conditioned café and gallery but this quaint building retains much of its 19th-century history and charm. It’s a lovely place to cool down and savour refreshments and some of the best gelato around. While you sit back and relax – admire your new market purchases, and absorb Wollombi’s historical surrounds! Would you please update information about the “Wollombi Village Market” We have moved it to the DOS JUANS FINE FOOD farmgate, every Monday Long Weekend. I have done! Thank you so much for contacting us and keeping us updated! It’s great to see the article is being utilised, and popular!